Description:KJ-M1700-DL Intelligent Zirconia Sintering Furnace is specially designed for the sintering of Zirconia materials. 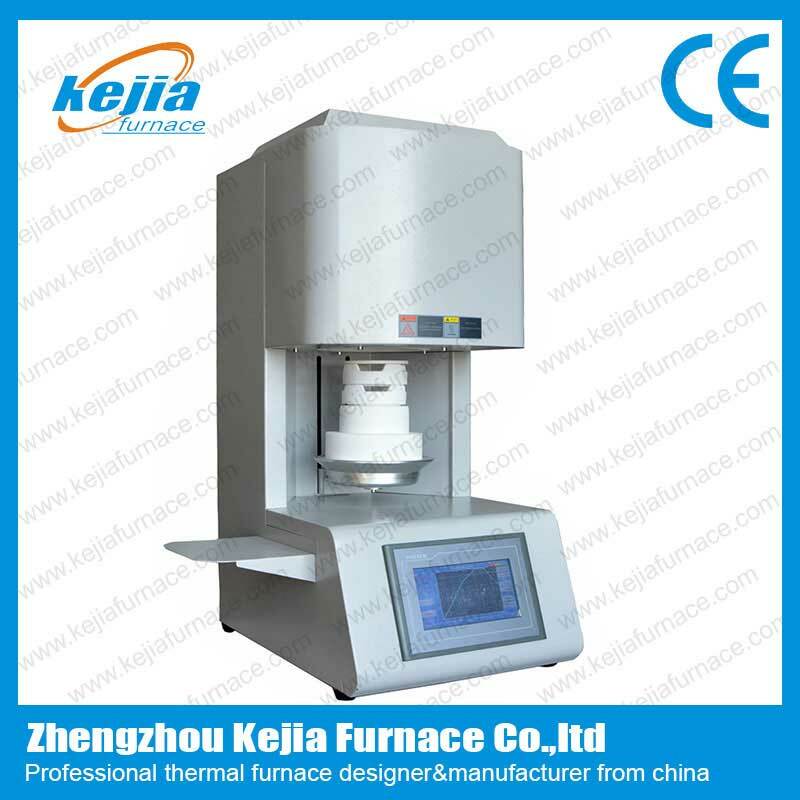 1.Bottom entry sintering furnaces have heating elements evenly distributed around the heating chamber. This provides a much more even heat distribution throughout the muffle and a more consistent firing temp of all units. 2.We use 6 pieces nodiscoloration Mosi2 heating elements surrounding the chamber with long lifttime. 3.Multiple programs and multiple firing stages for your choose. 4.Touch screen operation pannel,Real-time temperature display,The dynamic temperature curve. Bottom of crucible still can be heated.The heating is much more uniform.